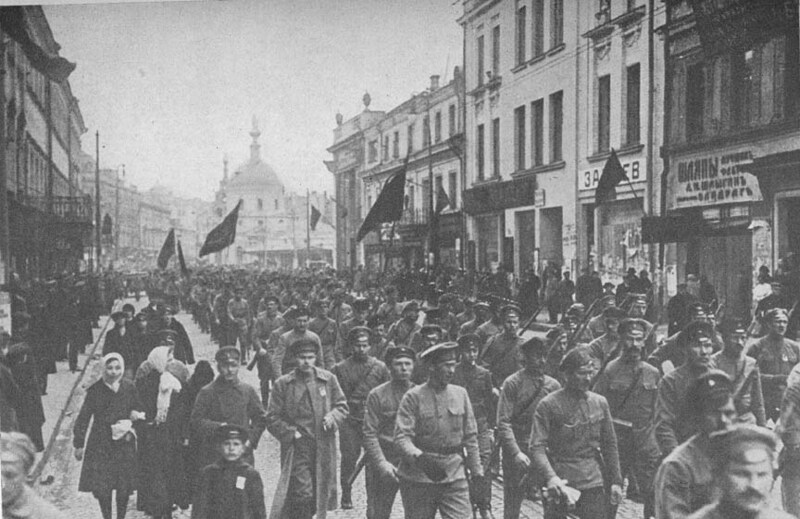 This year is the 96th anniversary of the Russian revolution, one of the most earthshaking events in human history. The terms "history" and "96th anniversary" are apt to cause the eyes of many if not most Americans to glaze over, but American life today is being molded directly by the ideas and events set in motion in Russia in 1917. Distilled down to the most important elements, the Russian revolution had three key ideological elements: first, the state as almighty, a replacement for God; secondly, a political elite to guide the "masses"; thirdly, the use of the state's police power to completely subjugate all society to the government, no exceptions, no opposition allowed. The concept of a powerful elite directing the rest of the nation, by force if necessary, to a socialist utopia comes directly from the Communist revolution in Russia. In earlier history, the king or emperor was thought to have absolute authority over all his subjects, but, after the Russian revolution, ideas became sovereign. The author of these ideas and the leader of the Russian Revolution was Vladimir Ilich Ulyanov, better known by his revolutionary name, Lenin. Sometimes he was Nikolai Lenin, other times Vladimir Lenin. Throughout his subversive career he had some 40 aliases. As V.I. Lenin, he authored What Is To Be Done? Burning Questions Of Our Movement, which outlined his strategy for the establishment of a Marxist state in Russia. In his book, published in 1902, Lenin demanded the establishment of a dedicated core of professional revolutionaries who would educate the workers in revolutionary struggle and then lead them to victory. Before Lenin, revolution was a haphazard matter, dependent upon those who were inflamed for the moment, or who dabbled only intermittently. Karl Marx had taught that the workers' revolution would come about spontaneously. Lenin, however, saw that the rise of labor unions and reform movements were seriously weakening the Marxist call for violent rebellion. To bring about a true Communist society, Lenin issued his call for full-time revolutionaries and the complete destruction of the old order. In 1917 Lenin achieved his goal. Known as the October revolution (October 25 Julian calendar, November 7 Gregorian), Lenin and his Bolsheviks (Bolshevik simply means "majority") overthrew the provisional government which had taken power seven months earlier following the abdication of Tsar Nicholas II. The provisional government was weak and splintered, but Lenin's Bolsheviks were disciplined and uncompromising. 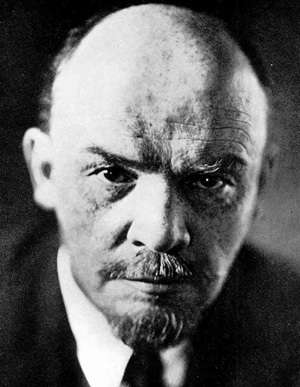 Once in power, Lenin implemented his political theories with a vengeance. All opposition was swept away. First, political leaders were arrested and either imprisoned, or more likely, executed. Then the next step was to eliminate anyone who so much as hinted at opposing Bolshevik rule. 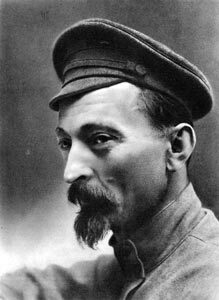 Lenin called upon a Polish nobleman by birth, but a Communist revolutionary by will, Felix Dzerzhinsky. The secret police which Dzerzhinsky organized was known as the Cheka. Dzerzhinsky and his Cheka went far beyond the methods used by the Tsars in degree and type of brutality. The number of those killed and imprisoned are uncertain, but reach into the millions. Today, in the United States, supposedly the winner of the Cold War, Leftists are using tactics similar to those of Lenin to profoundly change America. Let there be clarity on this point: an individual who uses these tactics is not necessarily a follower of Lenin and his ilk, but it was Lenin who brought these concepts into political use. It is also inescapable that the use of Lenin's concepts and tactics will eventually create, whether intended or not, a human disaster analagous to that which Lenin and his Bolsheviks brought to Russia almost a century ago. The actions of those who may be called neo-Leninists may not be as bloody or dramatic as the Cheka under Dzerzhinsky, but the results will be, nevertheless, highly effective in making God an exile from his creation and believers aliens in their own country. The belief that the state is the ultimate arbiter of right and wrong (de facto state-as-God), that a cadre of political experts are the ultimate authority of how people are to live, that religion has no place as an influence in society, that the state's police power can be used to suppress dissent on issues of conscience -- all of these elements lead sooner or later to a brutal oppression where no one is safe. Unfortunately for all Americans, the process has begun in earnest. The most obvious evidence of the application of Leninist principles is the present attack on religion in the United States through the implementation of the health care mandates. The demand that all employers offer health insurance policies covering abortion, sterilization, contraception, and artificial birth control are abhorrent, at least in part, to several faiths. The Catholic Church is particularly targeted because the Church condemns all these practices and also operates numerous healthcare facilities, colleges, universities, and other institutions which are in the crosshairs of the health care mandates. These mandates may seem to some to be minor, even insignificant, but the eventual impact upon belivers is substantial and devastating. Jobs could be lost, careers ended, even health care institutions closed. Private enterprise is also under assault from the new health care mandates, as well as other regulatory bodies apparently dedicated to the destruction of the free market. The question at hand is not about health care, the Catholic Church, or interfering bureaucrats. The question is simply whether or not the people of the United States will allow a political elite to rule above human conscience and basic God-given human freedoms, while establishing a State-Almighty which replaces God in the hearts of men. Elected leaders must be held accountable for bringing us to the point of state-as-God. The people must speak to their elected representatives, and then vote accordingly at the ballot box. Those who use Lenin's tactics are convinced of their own righteousness, and often have the zeal of a committed missionary. The fight will be difficult, but we may take comfort that another event occurred 96 years ago, the final appearance of Our Lady of Fatima and the Miracle of the Sun.